The festive ‘German Market’ has become a popular annual event in Birmingham at Christmas, with literally tens of Brummies getting tanked up on gluhwein – German mulled wine – instead of their more usual white cider. How many Brummies realise that the ‘cultural exchange’ is in fact two-ways? Very few, we’re sure, but it is. 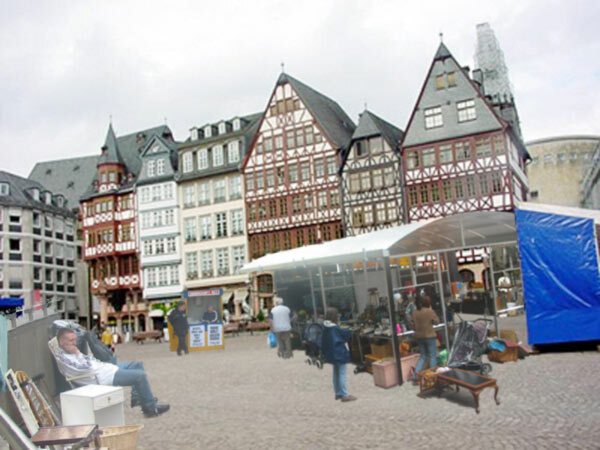 From late November the cream of Birmingham’s street traders have taken a Bunders-break and set up shop, er, stall in Frankfurt’s Praca-Principal. The lucky Gerrys have been treated to ‘mulled’ Brew XI, West Bromwich Albion mobile phone covers and other Birmingham speciallities. The streets of our twin town ring out to the cries of “eeeeveeeenin mayol”, while the Frankfurters have obviously enjoyed the delights of Mick’s Meat Auction – trying traditional English delicacies, such as pork chops, instead of the more usual over-spiced sausage. The ‘English Market in full effect, with mulleted foreigners in stonewashed denim besieging stalls to buy knock-off Calvin Klien pants. 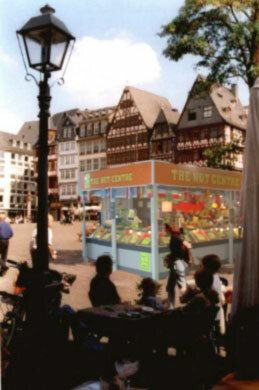 The Nut Centre – going down a treat with the sausage eaters.